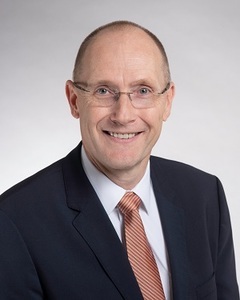 DANBURY, Connecticut, January 17, 2019 — Western Connecticut Health Network (WCHN) President and CEO John M. Murphy, MD, announced the appointment of Peter R. Cordeau, MBA, BSN, RN, to the role of President of Norwalk Hospital. Norwalk Hospital is part of the growing WCHN, which currently also includes Danbury Hospital and New Milford Hospital. In his new role, Mr. Cordeau will oversee all administrative and clinical functions at Norwalk Hospital. As President of Sharon Hospital, Mr. Cordeau is a highly visible leader in the community. He sponsors, volunteers, and speaks at community events. He also serves on the Northwest Chamber of Commerce Board of Directors. Mr. Cordeau received his Bachelor of Science in Nursing from the University of Connecticut in Storrs, Connecticut, and a Master of Business Administration from the University of Hartford in West Hartford, Connecticut.